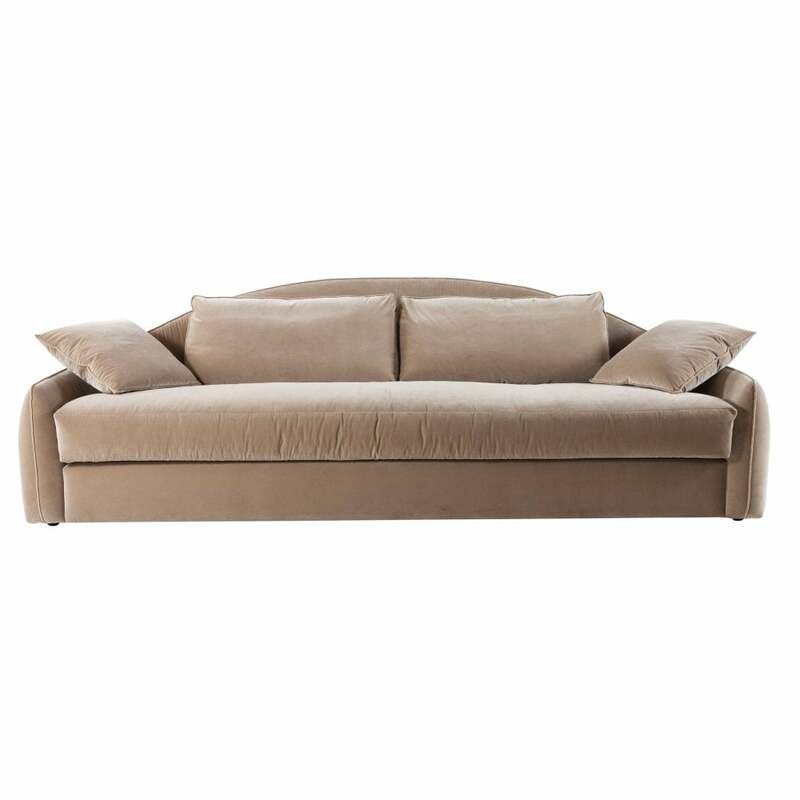 The Only You Sofa is an elegant, classic design beautifully crafted by Italian artisans, their expertise clearly visible in the attention to detail and beautiful, subtle design features. The stunning low slopping back and gentle curve of the back rest create a natural, flowing feel, appealing to the eye and a definite draw to take a seat. The comfort factor is clearly as much of a priority and this design is all about the quality of your comfort and relaxation The weight-bearing sections are made of multiply wood and solid wood for maximum strength and support. For the base upholstery high-quality polyether foam is used, the cushion upholstery is high-quality polyether foam on webbing. The seat cushions have a core of high-quality polyether foam with sectioned down. The underside of the seat cushions are covered with cotton fabric for better air circulation. The 2 large and 2 small back cushions are filled with down for absolute quality and comfort. You have the option of leather or plain fabric to customise your look. To perfectly compliment the look, combine with the striking Zen Coffee Table.